A warm welcome awaits you from "The Walsh Family", we offer our guests a great hotel experience with genuine friendly service. 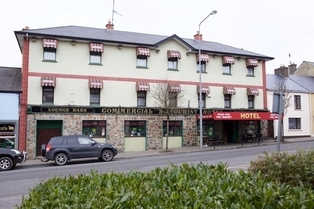 The Walsh family are the proud owners of The Commercial Hotel for over 30 years and they credit the success of the Hotel to the dedication of the family who go that extra mile for their customers who return again and again. Centrally located in lovely Leitrim, it offers breathtaking drives and pleasant walks. Ballinamore is one of the best developed angling centres in Ireland located in one of the "big catch" Lakeland District. So, if you're looking for a fishing holiday in Ireland, then you are at the right place. Guests can also explore this beautiful region and its many attractions. The hotel offers 28 elegantly appointed guestrooms that are facilitated with an array of convenient amenities to make you feel right at home.